There was a lot of excitement when Indian air was opened up for low-cost carriers. It promised to take Indian middle-class up in the air. Looking beyond how Indian mass have been taken for the ride, the goal in this article is to see how SpiceJet, owned by Sun Group, uses various social media channels to engage its audience on the web. It is not a surprise that male outweigh females quite significantly when it comes to travel or joining the fan page of a company in the travel sector. 2/3rd of SpiceJet’s social media fan-base consists of male. And as anticipated, the social media presence of SpiceJet is dominated by people in 30+ age groups, of which people in the age-group 31-40 make 37.37 %, and 40+ people make 38.42% of the overall audience. The age division of their fans on social media seems to correspond to the age-profiles of avg travelers. 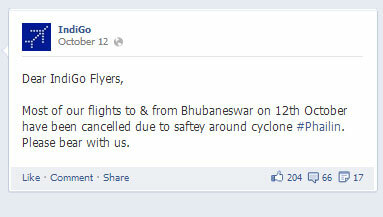 SpiceJet uses social media to serve information related to the brand with its fans and followers on social media. The brand also uses it for customer support, as you will see in the sections below, and there is a tertiary agenda as well, which is to fill vacant positions in the airliner. Along with these, the Sun Group’s airline also uses social media like other companies, which is to engage and connect with its followers. On Facebook, it has more than 5 lakhs fans, many of which are constantly in discussion with various posts on the page which ranges from engagement efforts to job posting to announcement of new routes. 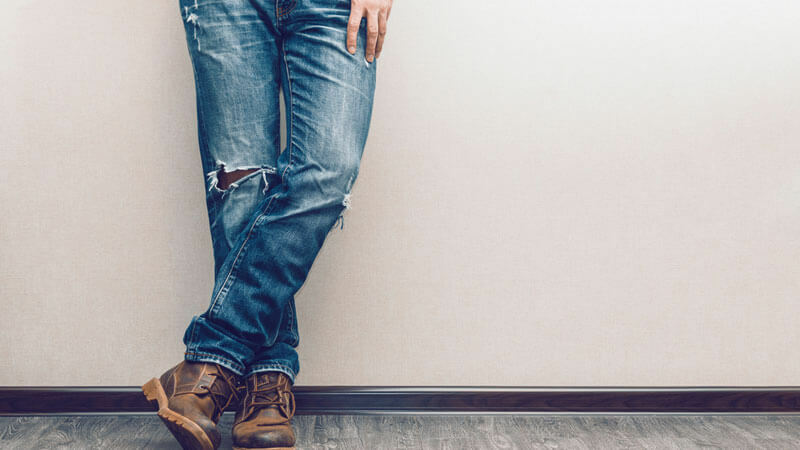 The studied brand was posting requirement posts on its wall with quite a noticeable frequency, and understandably was causing a good deal of engagement. Average per-post engagement on the posts was not very high, but the brand has got quite a few comments on its posts. One of the reasons could be the kind of brain-teasers and other engaging contests it was posting on a regular basis (see the second image below). 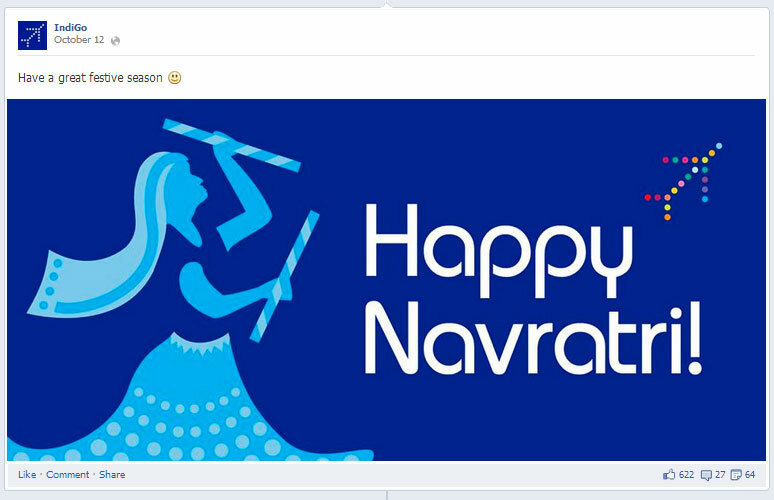 On the content (writing) front, there was nothing exceptional on Facebook wall of SpiceJet, but the designs of some of its posts were quite impressive. I think the brand should have used that in more of its posts than it actually did, as the design, which you can see below, makes the visual element a little more attractive. A delayed flight is very frustrating, and it becomes more so, when the information shared by the airliner is misleading. Complains like these seem to keep the twitter admin of SpiceJet seems busy as they try to placate the disgruntled voice of customers who was served false information (see the following tweets). @Annilc : The inconvenience caused is regretted. We shall get in touch with you at the earliest for assistance. @satishakv : We apologize for the inconvenience due to the technical snag. There are times that twitter admin of the airliners are given other jobs than handling complains. SpiceJet also uses twitter to take customers’ requests, suggestions, and to share new information and offers with its followers, but a good deal of its effort is directed towards handling customer complaints. @SuvishV : We shall definitely look into the potential the option holds. And the twitter participation of SpiceJet’s followers resembles to its social media fans’ profile, but the activity of younger audience is also prominent, which could be explained in terms of platform’s own reach and its active audience profile. Indigo is a close competitor of SpiceJet, and although its fan-base is half as strong as that of SpiceJet, the engagement on social media is better than the studied brand (see the image). Its average per-post engagement is much better than that of the reviewed airliner, as you can see in the following image, but the quality of engagement is much better for SpiceJet than it is for Indigo. One of the reasons could be the type of contests and brain-teasers SpiceJet posts on its wall. 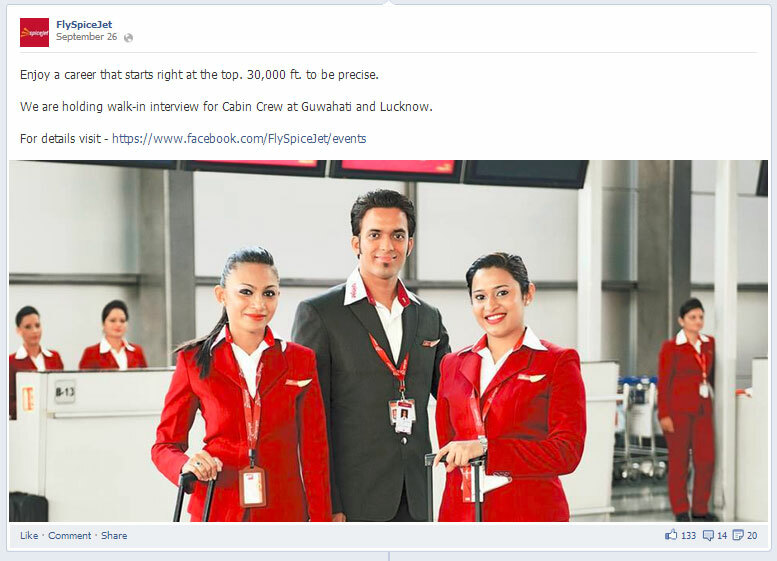 The content SpiceJet has posted on its wall gets the brand more comments and shares. There is one similarity in the way these two airliners use social media. 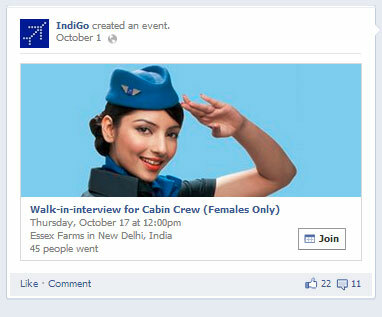 Like the reviewed brand, Indigo also uses Facebook to recruit people. In fact in the studied period, it was more aggressive in posting requirement-related posts on its wall. It also used Facebook to inform customers about flight delays and cancellation, as you can see in the second image below. 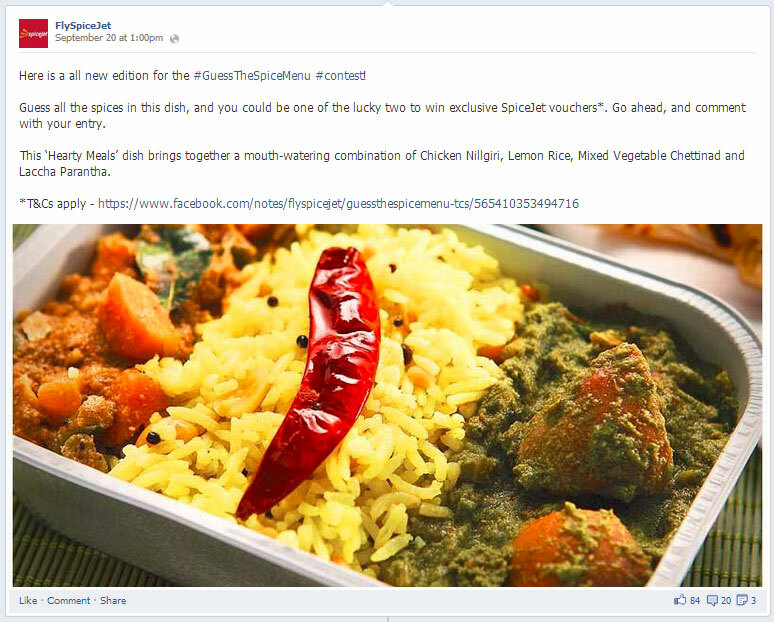 Facebook and Twitter are the only platforms that SpiceJet uses to engage its audience. On Facebook if it is broadcasting information, on twitter it is handling customer complains, and thus assisting its customer support team, which appears to rub many customers the wrong way.There may not be anything spectacular in the way the airliner use social media, but then there is very little to complain about as well. For SpiceJet, it is very conservative use of the tools, which means the brand is not taking the full advantage of these two tools. And its absence from other platforms is conspicuous. It is hard to say what went through the think-tank’s collective brain to make them decide to evade other platforms. SpiceJet does some basics right but it seem to stop at those basics and not go ahead and build on the 1st step that it has taken on Social media. Airlines is one of the most customer centric industry and clearly these consumers are on social media checking in on foursquare, tweeting as they travel and facebooking their pictures in a new city. 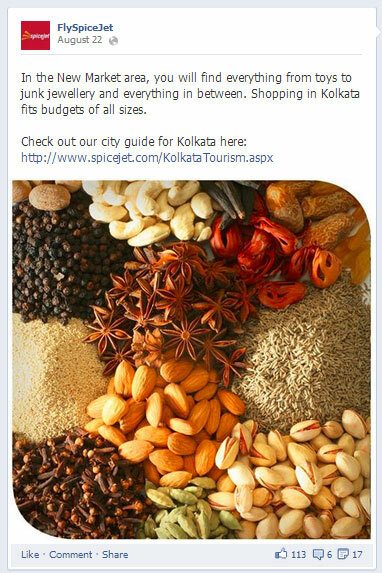 SpiceJet, if one may say, lacks “Spice” when it comes to its social strategy. All through it has stuck with a script for each platform which has become monotonous. There is no endeavor to delight its customers beyond the basics which again is sad given the opportunity. In flight can either be the most boring time you have or the most interesting and it’s a content piece SpiceJet could pick for their engagement and get consumers to respond as to what they do when in flight. All in all a lot of thinking is required for SpiceJet and new ideas are needed to revive and take its social presence to the next level. Expert View by Rajiv Dingra Founder & CEO of WATConsult – An Award Winning Social Media Agency.